At First Methodist, our mission is to love the city with the heart of Christ. We have the great privilege of serving alongside some great organizations here in the Beaumont. 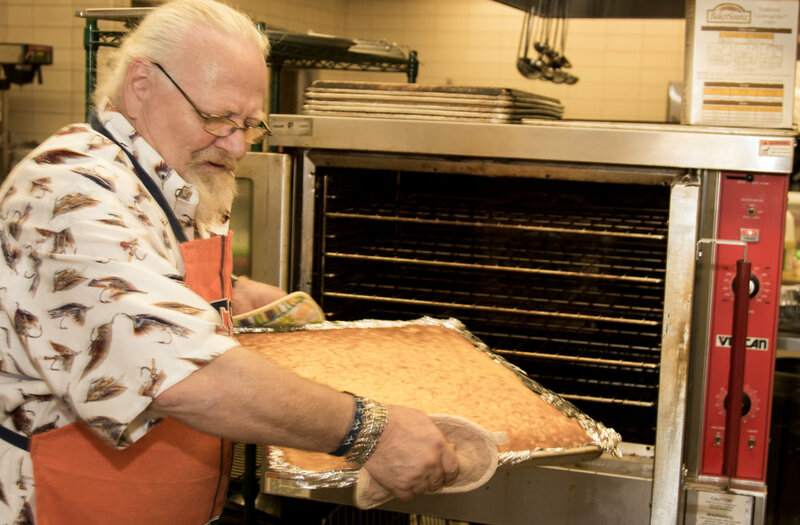 Kairos Kitchen is a monthly opportunity to connect with our neighbors here in Downtown Beaumont, many who are currently homeless, and serve them a good meal. It's a time of sharing good food, fellowship, prayer, as well as Holy Communion. All are welcome to come and serve. To sign up to serve, CLICK HERE. On the third Friday of every month, we gather at Some Other Place here in downtown, to prepare and serve a hot meal to many of our homeless brothers and sisters from the surrounding area. Anyone is welcome to come and serve anytime between 8 a.m. and 1 p.m. Lunch is served starting at 12 p.m.
A care ministry of First United Methodist Church, the Estate Sale Committee offers members of the community the opportunity to liquidate estates in a caring manner. Community participation is excellent and is enhanced by the fact that the percentage charged goes directly to the work of First United Methodist Church and to local ministries such as Some Other Place, Henry's Place, Boys' Haven, The Rainbow Room, and The Empty Stocking Fund. To learn more, or for information about the next estate sale, click here.